Many of today’s mergers and acquisitions have a hidden “Russian Roulette feature” which if unaddressed, could prove to be financially fatal years after a deal is completed. Mergers and acquisitions have played a major role in the business marketplace for many years. 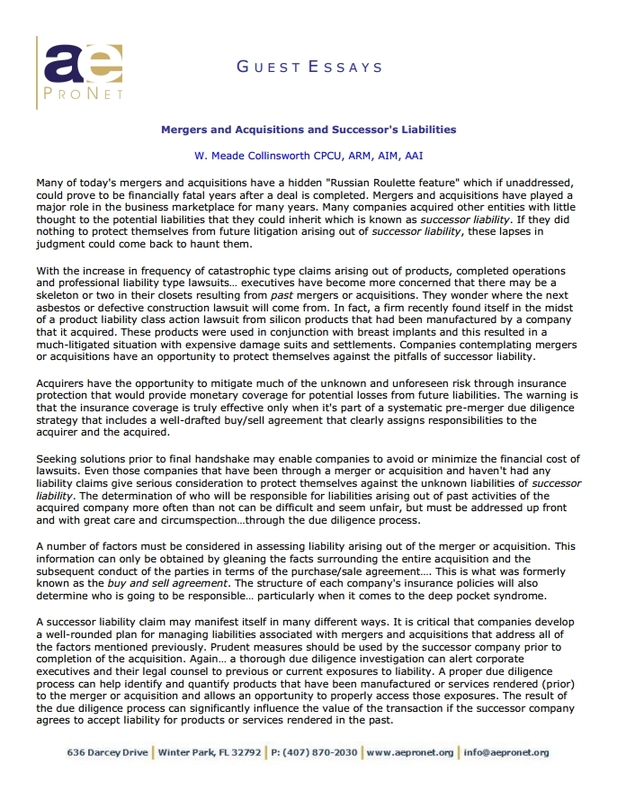 Many companies acquired other entities with little thought to the potential liabilities that they could inherit which is known as successor liability. If they did nothing to protect themselves from future litigation arising out of successor liability, these lapses in judgment could come back to haunt them. 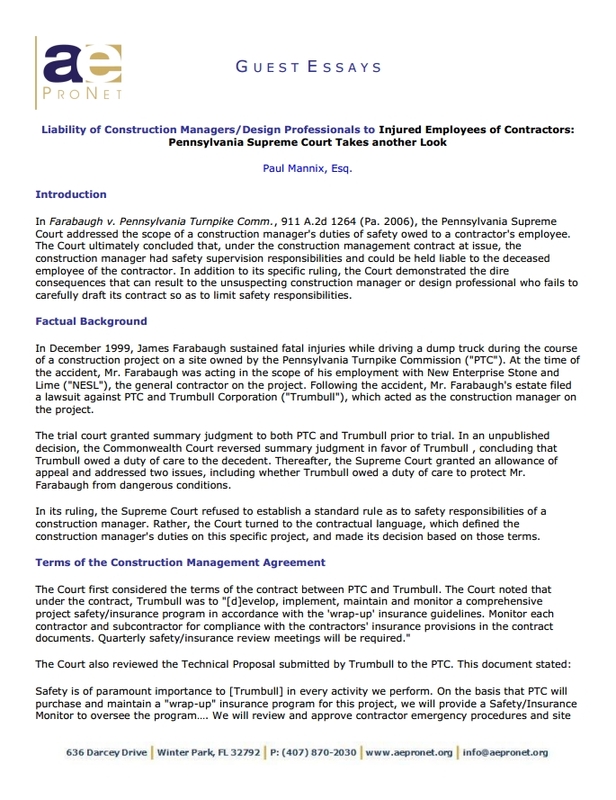 In Farabaugh v. Pennsylvania Turnpike Comm., 911 A.2d 1264 (Pa. 2006), the Pennsylvania Supreme Court addressed the scope of a construction manager’s duties of safety owed to a contractor’s employee. The Court ultimately concluded that, under the construction management contract at issue, the construction manager had safety supervision responsibilities and could be held liable to the deceased employee of the contractor. 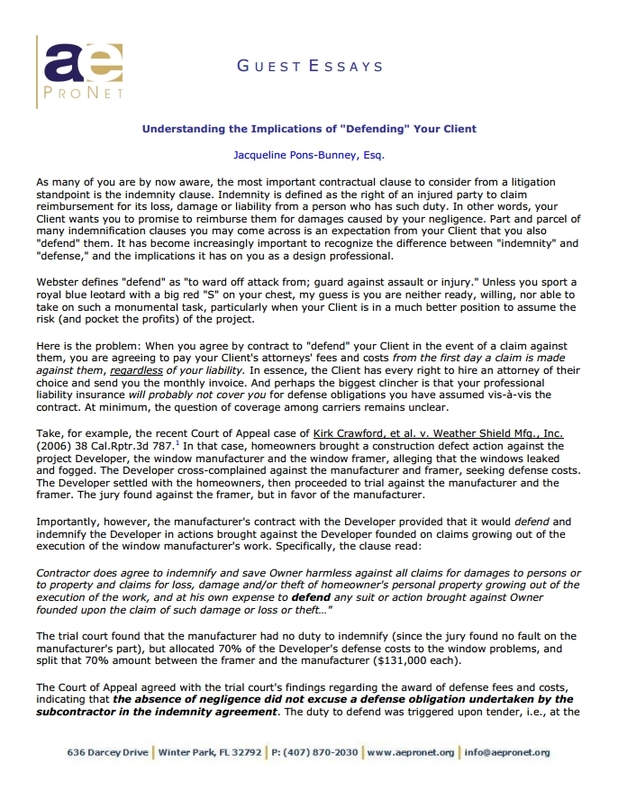 In addition to its specific ruling, the Court demonstrated the dire consequences that can result to the unsuspecting construction manager or design professional who fails to carefully draft its contract so as to limit safety responsibilities. 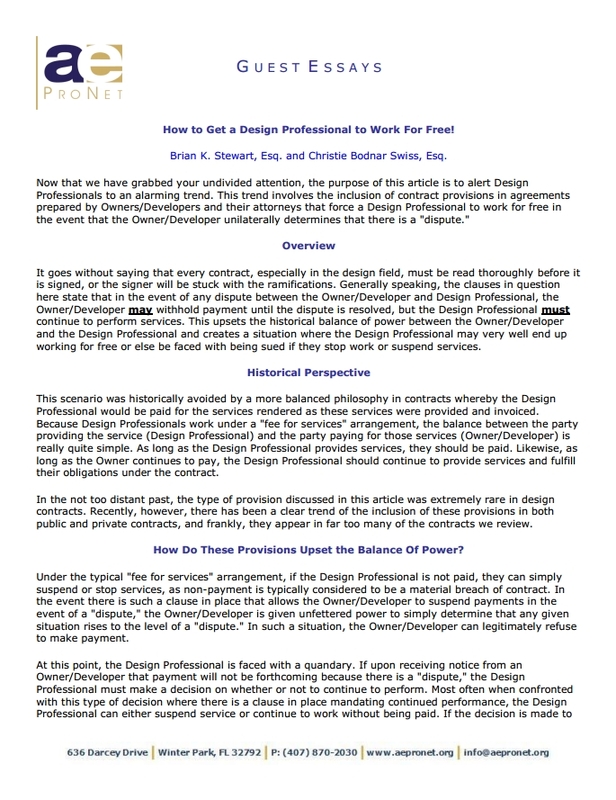 How to Get a Design Professional to Work For Free!